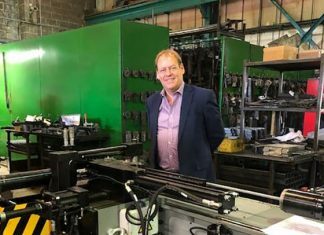 Dr Karl-Ulrich Kohler visiting Corus Port Talbot. More than 500 Tata Steel employees will join thousands of their fellow steelmakers from across Europe today to call for fair trade and a competitive level-playing field. Steelmakers from across Tata Steel’s European sites, including Scunthorpe and Rotherham in the UK, the Netherlands and France, will travel to Brussels to take part in one of the biggest protest marches in the history of the European steel industry. The demonstration of workers and executives has been organised following a severe downturn in the price of steel caused by a flood of unfairly-traded imports into Europe. Chinese steel shipments into Europe leapt more than 50% last year, while imports from Russia and South Korea jumped 25% and 30% respectively. 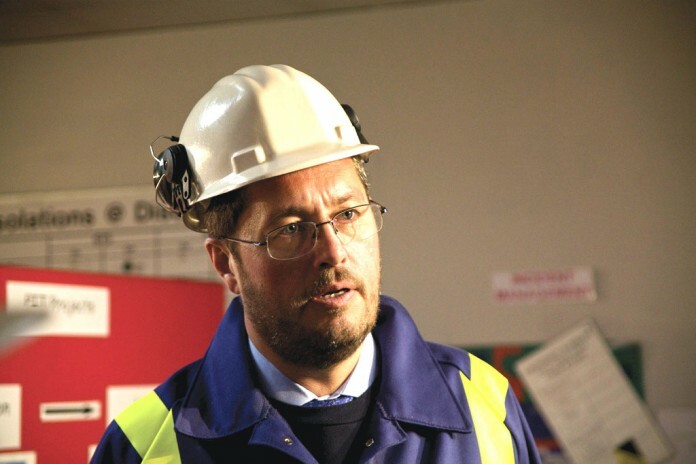 More than 5,000 European steelmakers are expected to gather for the unprecedented demonstration with leaders of steel companies, including Tata Steel’s European CEO Karl Koehler, pictured, marching shoulder to shoulder with employees. Mr Koehler said: “The situation facing Tata Steel and other European steel makers today is perilous. If the European Commission does not take immediate and robust action, thousands of jobs in the industry – and many thousands more in the wider supply chain – will be threatened. The European steel association Eurofer has identified that Chinese steel is being exported at prices below the cost of production. This unfair trade is undercutting domestic producers and harming the European steel industry, which employs 330,000 people and is at the foundation of much of the region’s cutting-edge innovation. The march is being organised – with Eurofer’s support – under the umbrella of AEGIS Europe, which is an alliance of 30 European industrial sectors including steel, aluminium, ceramics, glass, solar panels and bicycle manufacturing, among others. Steelworkers will also call on the EU not to award China market economy status (MES) which Eurofer fears would remove the EU’s ability to stop unfairly-traded imports from China. Mr Eggert added China was not a market economy, and to grant it MES when it did not meet either EU or WTO obligations would be wrong. European steelmakers are also calling for the Commission to ensure its post-2020 proposals to change the Emissions Trading System (EU ETS) do not lead to unfair costs that are not borne by global competitors. According to a recent study, the proposed EU ETS reform may cost the steel industry alone about €34 billion.